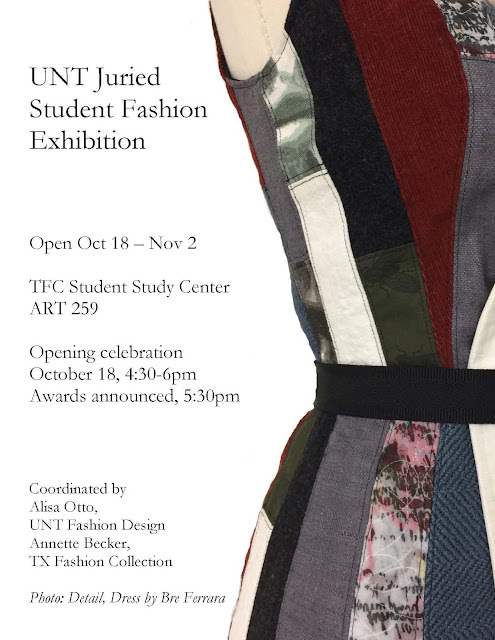 Seven designs created by UNT fashion design seniors will be displayed in the TFC’s Student Study Center (ART 259). The exhibition will be on view from 10/18-11/2. The opening celebration is scheduled from 4:30-6:00pm on 10/18 with awards at 5:30pm.